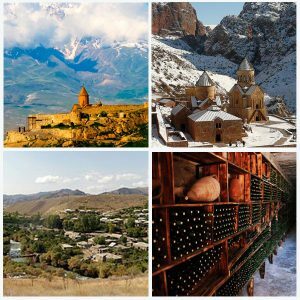 Start and end in Yerevan. 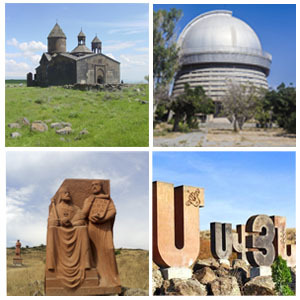 Travel to Gyumri in Shirak province with an overnight stay. This tour will introduce city of Gyumri from a completely different perspective. 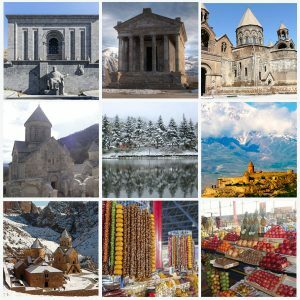 Roam the historic part of the city to see its unique architecture, museums, churches and the State Craftsman school. 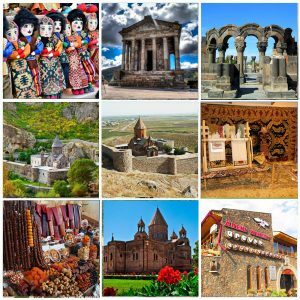 Travel to Gyumri – the second largest city and the cultural capital of Armenia with its ancient houses and modern monuments. 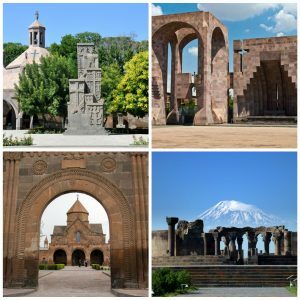 Visit the 19th century Church of the Savior, then on to famous Armenian actor Mher Mkrtchyan House Museum. 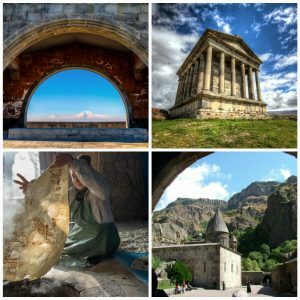 Continue to the 19th century Church of Surb Astvatsatsin (Yot Verq) then on to Gyumri Craftsman State School. 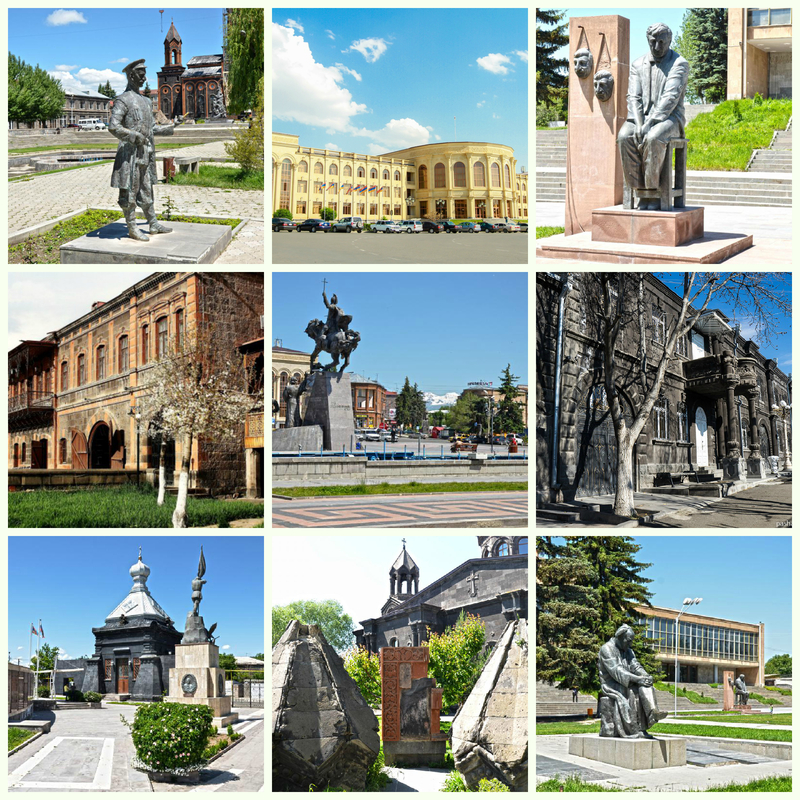 Complete the city tour with a documentary about Gyumri Craftsmen with English subtitles. 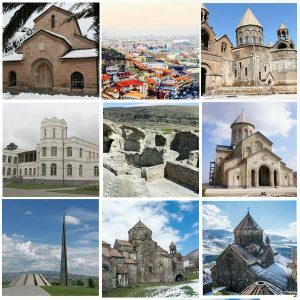 Visit Gyumri Museum Of National Architechture and Urban Life a two story mansion build in 1872 that dicplays an amazing collection of furniture, artworks, carpets typical of 19th century wealthy families in Gyumri. Then continue to the gallery of Mariam and Yeranuhi Aslamazyan Sisters. View a collection of 620 original works of paintings, graphics and ceramics created by sisters. Then visit the Cobweb Art Gallery to view the works made of cobweb by Andranik Avetisyan. Return to Yerevan.